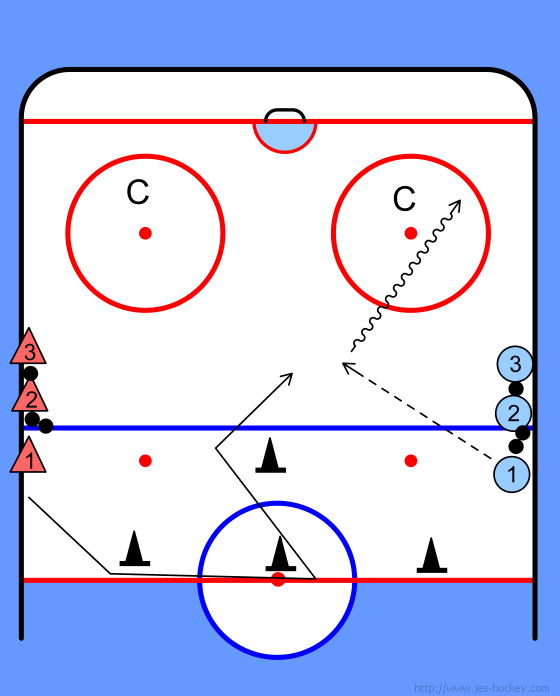 This drill is used for teaching players the drive to the net. 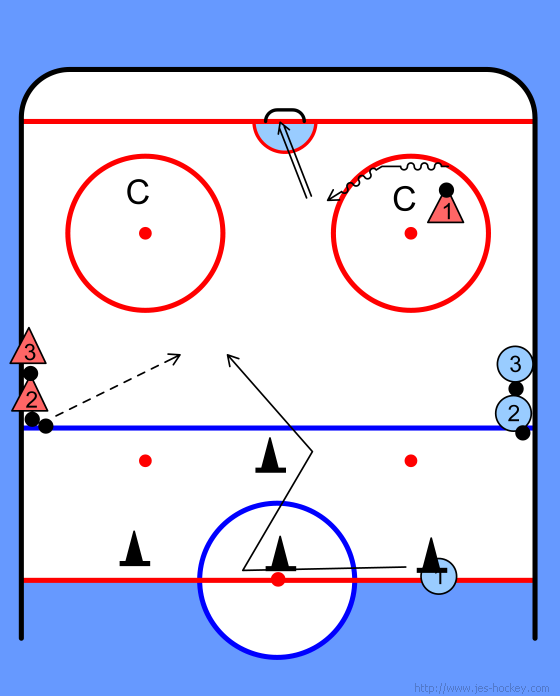 Key teaching topics are balance, shielding the puck and skating through the check. Coach provides defensive resistance here pushing player to the outside.